Now that snow, ice and other winter messes are showing up all over the world we have received many question about the functions of Dynamic Stability Control (DSC). The following information is a brief synopsis of each of its functions and the basics behind it all. We hope that this information is useful and provides you with some answers to your questions. The information here is for the newer generation of cars equipped with DSC. DSC is ON by default, there is no need to press any buttons on start up. DSC uses a series of sensors to detect wheel spin, yaw rate of the car and other properties. Using sensors and other electronics it can apply the brakes as needed, cut engine power and with Active Steering it can make small steering corrections to better keep the car under control. In layman terms, all the nannies are on by default andhelp to keep the car from spinning out. When DSC is intervening a caution light will flash in the instrument cluster. In some models, DTC (Dynamic Traction control) is a sub-function of DSC. It is activated by briefly pressing the DTC button. A light will light up in instrument cluster indicating this function has been activated. DTC will allow the wheels to spin, increases the angle at which the system will begin to apply the brakes (eliminates the yaw rate sensors) and does NOT cut the engine power. This system function is designed to allow the driver to spin the wheels in order to get through snow, ice and other conditions where wheel spin is required. While certain sensors are deactivated others still remain active. This function also provides a more sporty driving experience in dry conditions while at the same time being a limited security blanket. Having some track time messing with this system, DTC will still cut in and apply braking so you can ‘t get the back end out all that much but it still allows you full power to motor through. Like DSC a blinking caution light indicates the system is intervening. DSC/DTC can be turned OFF by holding the DTC button for 3 seconds. The caution indicator light (as Shown above) will remain lit in the instrument cluster, the nannies are now off and you are on your own so stay within your abilities! A function of the DSC system that does remain active even when everything is OFF is the e-Diff. 1 series cars and those 3ers produced after March 2008 include this. 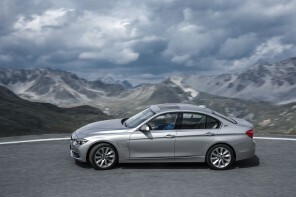 With the launch of the latest generation 7 Series and 5 Series, xDrive equipped vehicles also now features this and the ability to vector drive power to the outside wheel through use of braking force. The e-Diff essentially mimics the concept of a limited slip differential (LSD). It accomplishes this by applying braking to the spinning wheel and thus transferring more power to the wheel with better traction. It will allow you to leave strips if you are so inclined. This feature is also active in DTC mode. While DSC and its companions provide you with an extra level of safety it is important to remember that no electronics, no matter how sophisticated, can over come the laws of physics and driver ability. In other words, drive safe and within your ability and exercise caution in less than ideal road conditions. 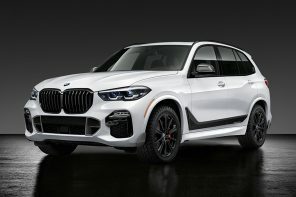 Previous articleF10 M5 Spotted? We Doubt it. Michael, Nice job explaining this complex series of vehicle dynamics. Now explain to me why every time I get in my R56 I have to press the ‘sport’ button! Likely because MINI stressed economy over performance with the R56. I have to admit I still find the DSC system in my GP to be much to intrusive. Its nearly impossible to drive the car (as it was designed to drive) without getting it stepping in to often heh. Post this on Motoringfile reworded to reflect a MINI definition or MINI terms relating to MINI models. This is really great guys and I am happy you post things like this. It would be interesting to talk about how the different modes have strengths and weaknesses in sporty or track driving. I find the middle DTC mode to be pretty useful in keeping the car stable and allowing you to use the power. It minimizes low speed understeer and enhances high speed stability – in effect masking some weaknesses in the chassis and suspension design. DSC mode does a truly amazing job at minimizing understeer in snowy conditions, really going out of its way to make the car do what you want to do – much more than I have ever expected a car to do in snow and ice. 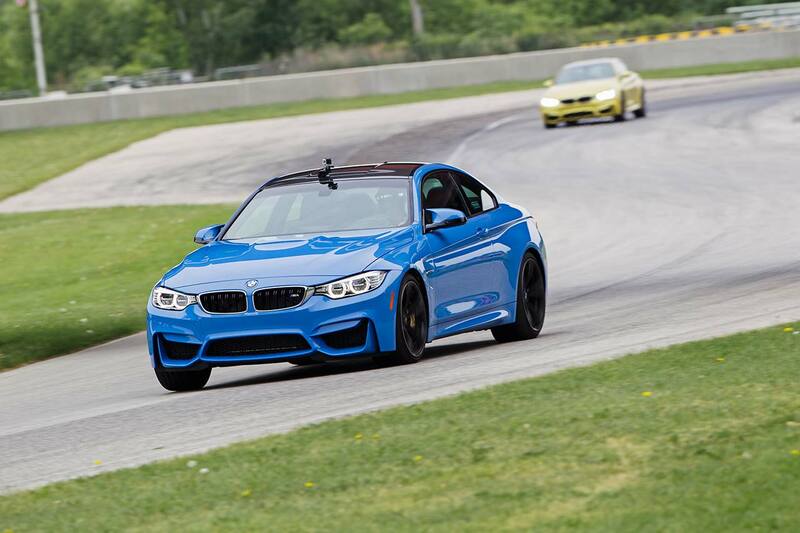 In any other car I have driven, the front end steering washes out pretty easily in snow and ice – but the BMW uses every last possibility within the laws of physics to make the car track properly, especially under deceleration. It is possible to get the stability control to kick in slightly without the DSC light kicking in.